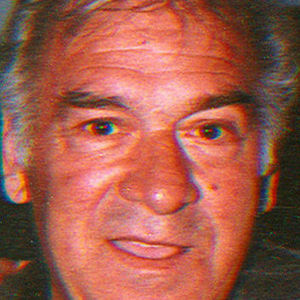 Anthony Tony N. Anselmo Sr., 71, of South Windsor, passed away suddenly Friday July 7, 2006 at home. Born in Hartford he was the son of the late Louis and Mary (Marccio) Anselmo and has lived in South Windsor for the past two years, previously residing in Marlborough for most of his life. He was retired from Hartford Laborers Local #230. Anthony was an avid Red Sox fan, and enjoyed playing softball for many years. He will be most remembered as having a great love for his family, especially his grandchildren. He will be deeply missed. He leaves his four sons, Anthony N. Anselmo Jr. and his wife Donna Sue of Waterbury, Rocco Anselmo and his wife Sue of South Windsor, Russell Anselmo and his wife Nancy of Glastonbury, and James Anselmo and his wife Erin of Manchester; his daughter, Dina Vashalifski and her husband David of Colchester; three brothers and four sisters; eight grandchildren, Anthony III, Nicole H., Kristen, Nicole, Madeline, and Hannah Anselmo, and Tyler and Devin Vashalifski; and three step-grandchildren, Daniel, Stephen, and Eric Jones. The Anselmo family would like to thank the staff at the East Hartford Dialysis Center for the care they have shown to Tony over the past year. A memorial service will be held Tuesday July 11, 2006 at 10:00 am at the Samsel & Carmon Funeral Home 419 Buckland Rd. South Windsor. Burial will be private. The family will receive friends Monday from 4-8 pm at the funeral home. In lieu of flowers donations may be made to the East Hartford Dialysis Center 200 Pitkin St. East Hartford CT 06118, or to the American Diabetes Assoc. 306 Industrial Park Rd. Middletown CT. 06457. Please visit www.carmonfuneralhome.com for our online guest book and directions.